Fun-Tastic Castles: inflatable bouncy castle, the meltdown, parties and events based in Thunder Bay and serving all of Ontario and Manitoba. 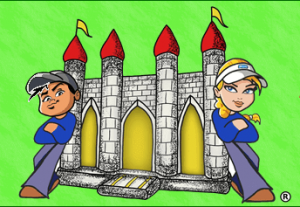 FamJam2019: Fun-Tastic Castles is upcoming on February 18th, 2019 at the CLE Coliseum. Fun-Tastic Castles will have the Wacky World, Giant Castles, and the Meltdown! The event is commonly known as FamJam, which we organize every year. 100% of the proceeds go to a different local Grassroots organization each year. This year all admissions income will go to help the Bear Clan Patrol purchase necessary supplies for volunteers. And all food donations collected will go to the Shelter House. There will be kids playing, mostly from 3 to 12 years old, on the inflatables, and other equipment, and also in face painting, crafts, balloon animals. Hence the need for volunteers interested in working with kids. We need volunteer supervisors (aged 18+) for at least 2.5-hour shifts. If you can do the full 5-hour shifts, it is even better. Alternatively, we need set-up volunteers to help set up, the night before – Feb. 17th, evening and help packing up, from 4 pm – 9 pm. Volunteers would pay attention to the entrances, to ensure all kids are safe, and to limit the number of children going in the bouncy castles and meltdown at any time. Click on the “Click to Volunteer” to sign-up.